Why metadata matters, and what it says about you. You may hear people talk about metadata. Essentially it is the data wrapped around data. Look at it this way: if you use your cell phone to take a photo, the image itself is the data. Your cell phone also has other data about the photo, such as where it was taken, when, what device took it, among other information and it is that data that is the metadata. Why metadata is important is strikingly illustrated in this effort: Pathways Project. Pathways…. …is a creative data project showing a month’s worth of geolocation data and message metadata collected from the mobile phones of Londoners. The aim of Pathways is to show what digital data looks like in the context of common relationships. Each of us is intimately and invisibly connected to the data we create, and as the number of internet-enabled devices increases, so does the amount of data generated. This is the reality within which Pathways is situated. All participants willingly volunteered their data; data was retained solely for the duration of the project. Participants were found through a combination of in-person recruitment and email open calls. Pathways was created by data researcher and artist Mimi Onuoha as part of the 2014-15 Fulbright-National Geographic Digital Storytelling Fellowship. To learn more about the development process and the themes that inspired the project, see the project posts on National Geographic’s blog. To learn more about Mimi and her work, visit her personal website or follow her on Twitter. You really should visit the Pathways Project to see how your life is measurable via metadata. Your metadata represents you, like an outline, or your shadow. It is not every detail about you, just like a certain outline or certain clothing doesn’t describe all of you. But it does describe alot about you. Your destinations have purposes, and from these destinations, people can tell something about you. Few of us wander about randomly. You can be tracked indirectly from others you interact with. Your life is based on commitments, and those commitments can be determined from your metadata. The best way to avoid tracking and inferences is to be unpredictable and uncommitted. Unpredictability increases entropy. It makes it harder to codify you. An oldie but goodie: images from the show, Gerhard Richter: Panorama at Tate Modern – in pictures | Art and design | The Guardian. How to paint like Gerhard Richter ▶ How To Paint Like Gerhard Richter – YouTube. Apple introduced an iPhone with a smaller screen on Monday called the iPhone SE. The best way to think about it is as Apple’s current top-of-the-line iPhone specs in a smaller body. It costs $399 without a contract — a surprisingly low price for a new iPhone. …the older iPad Air 2 got a price cut to $399…. While the Apple Watch didn’t get a hardware update, Apple did unveil new nylon bands and cut its starting price from $350 to $299. I was wondering if Apple was going to try and offer some affordable products or reposition itself as a luxury brand. I am glad to see they went with affordable. There are now lots of products from Apple at a wide range of price points, starting with the iPod (at $59). I have always been a fan of the lower priced iPods, and I am glad to see Apple still offers them. Likewise, the iPad Mini 2 is an excellent tablet and the iMac mini is an excellent computer. Relative to the market, they are priced competitively and yet superior technology. Now the new Watch and the new SE phone join them. For people who want to spend lots of money, Apple has a product for them. By offering the lower end products, they both force their competitors to offer better products as well as allow more people to have access to their excellent technology. P.S. I realize for some people, even these relatively low prices are not affordable. In the context of this post, affordable is in context to the rest of the marketplace an Apple product competes within. Is it worthwhile buying a slow cooker? Short answer: it depends. 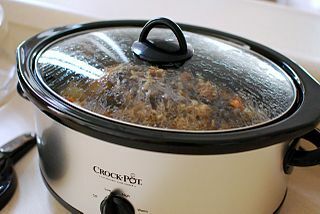 According to this, Is it worthwhile buying a slow cooker?, slow cooked food tastes better and looks better, though the food in a slow cooker ends up being more moist. Go with an oven if you can attend to it. Go with a slow cooker if you want to have a minimal cooking process going all day that doesn’t require you to do much more than to load up the cooker and go. An additional consideration: a slow cooker uses very little power. Go with a slow cooker if you want to minimize energy use. Read the article and see what you think. And if you like the idea of slow cooker recipes but slow cookers aren’t for you, read it and get some ideas on how to use your oven to slow cook instead.